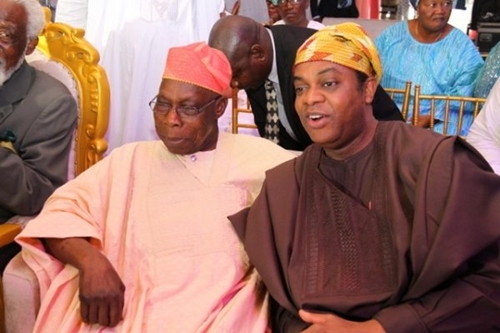 Recall that Taiwo Obasanjo, wife of the ex-president, had said the wedding will lead to disaster and strange deaths in the country as she filed a suit at an Ikeja high court, seeking to stop the wedding but Lateefat Okunnu, the presiding judge, dismissed the suit on the grounds that the court lacked jurisdiction to hear it because Olujonwo, 33, is an adult. 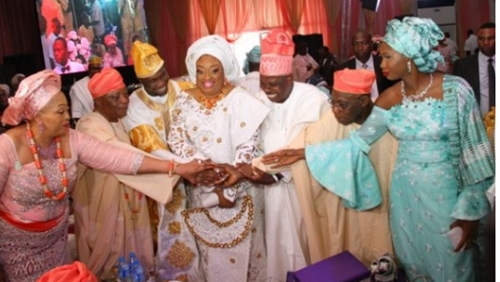 The traditional marriage was reportedly attended by politicians, business moguls, as well as traditional rulers, and the white wedding of Tolulope Adebutu and Olujonwo Obasanjo is expected to take place on Saturday. 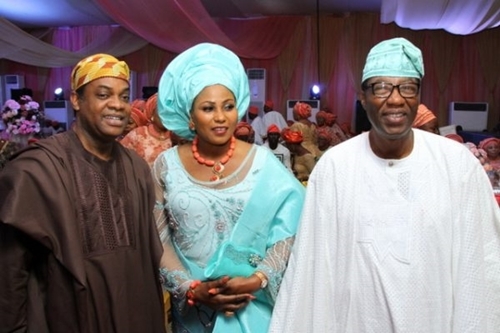 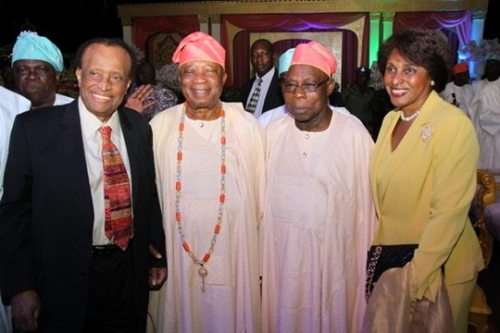 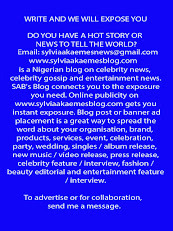 The couple had their introduction ceremony in December, at the Ikoyi, Lagos home of Adebutu. 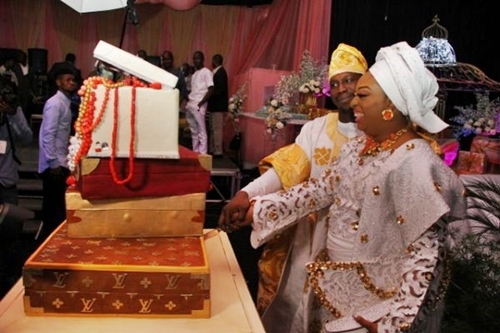 Here are more photos from the traditional marriage.